On January 25, 1942, several passengers crossed the ocean to the bar at the airport in Poins, West Ireland, where Joe Sheridan worked as a barman. To warm and wake them up, he served them a drink containing 40 ml of Irish whiskey, 80 ml of hot brewed coffee, 30 ml of cream and a spoon of brown sugar, and served it in a glass cup with a high leg. The tourists drank the drink and enjoyed it very much. 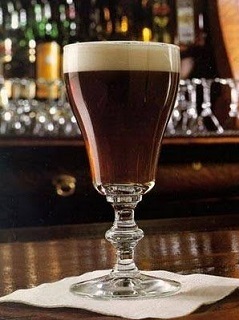 They asked the bartender if it was Brazilian coffee and he replied that "no, it's Irish coffee." Since millions of gourmet diners enjoy the warm and delicious drink and this superb fragrant combination that contains a stimulating coffee and warming whiskey.